Eric & Roxanne Bowman are the founding directors of the Sparrow Missions Children’s Home and joined Sparrow Missions in June of 2014. They officially opened the doors in Santiago in January of 2015 and began accepting young children in February. Eric is an engineer with extensive experience in ministry, while Roxanne has a Ph.D. in nursing and is also a registered nurse and certified pediatric nurse practitioner. They are parents to two amazing young ladies—Tara and Ella. Eric and Roxanne have a passion for the Lord, for Sparrow Missions, for children, and for this ministry to children who have been abandoned. Sparrow Missions is blessed to have them living in Honduras and leading the Sparrow Missions Children’s Home. 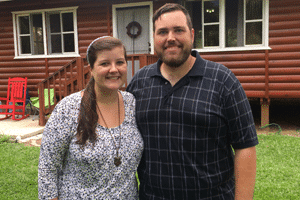 Chris and Alishia Weeks joined Sparrow Missions in January of 2015. After language training, they transitioned to Santiago as our second set of long-term missionaries at the Children’s Home. They officially welcomed children into their cabana in January of 2016, when three energetic siblings joined them on this jouney! 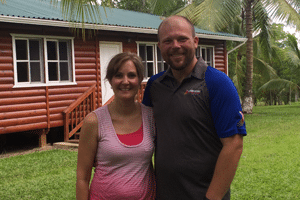 Prior to joining Sparrow Missions, Chris and Alishia served as Children’s Pastors at Anderson Christian Church in Lawrenceburg, KY. Alishia, who currently teaches English at one of the public schools in Santiago, also spent time teaching at the Frankfort Christian Academy. Chris is quite the handy man, with experience finishing cabanas, building chicken coups, and teaching carpentry skills to men at a local rehab center called Ministerio Vida!